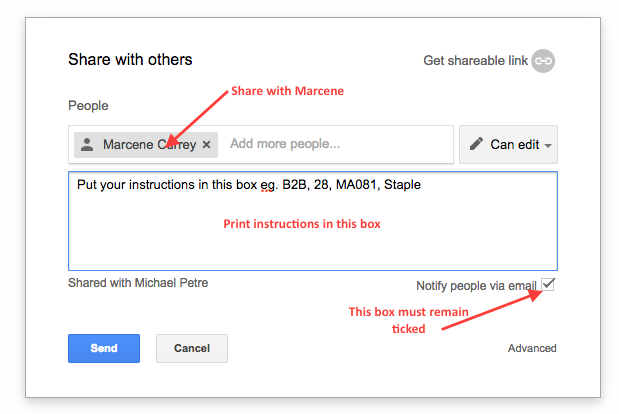 This blog entry assumes you have shared a google print folder with Marcene. 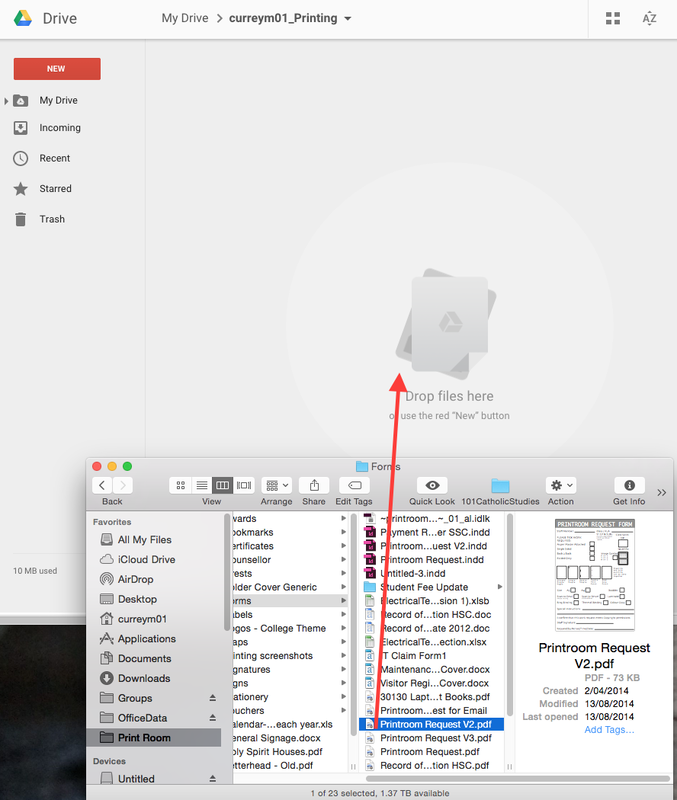 The folder should be named with your College Login name and theb word printing eg "petrem02_Printing"
1. 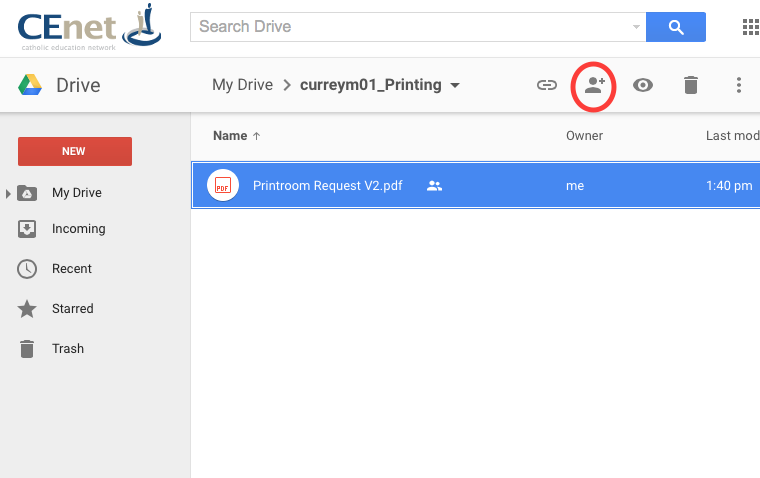 Drag and drop the relevant file for printing into your printing folder you have shared with Marcene.